Here are two free printable creative baby shower invitations for baby BOYS. There is one with wording and one blank for you to write or print your own baby shower details. 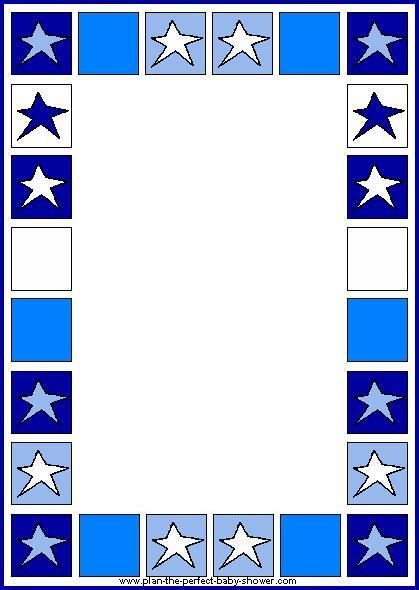 Here are star invitations for baby GIRLS . Using the instructions below, I recommend that you print these invitations on a heavy paper or white card stock. That will give your invitations a classy and quality look. 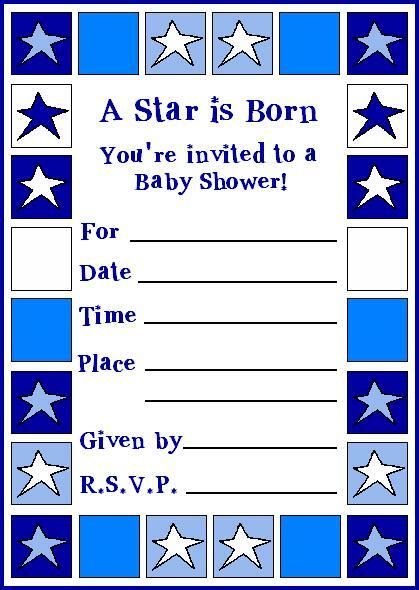 Click here for more Creative Baby Shower Invitations ! Printing Instructions: Right-click on the image you want and select the "save picture as..." line. Then, you will be asked which directory to save it to. Just save it onto your desktop or in any folder you want. Then on your desktop, double click on the image icon. When the image opens up, set your printer to the desired paper size and print the image (in color or black/white). ENJOY! Click here for more free printable baby shower invitations !